At the start of a glorious and varied career, Bev Risman faced two major dilemmas. Should he represent his ancestral homeland Wales or England, his country of birth? Ought he to play rugby league or rugby union? 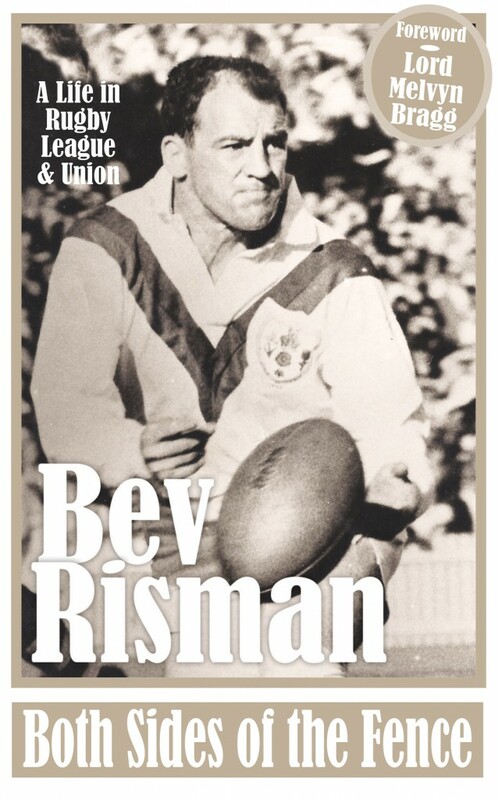 Son of league icon Gus, Risman made his name in the fifteen-a-side code, playing for England and touring with the 1959 British Lions. Later, after initially moving to rugby league with Leigh, he enjoyed huge success at Leeds, with whom he played in the famous Watersplash Challenge Cup final at Wembley. He was top goal-kicker in the league for three years and became a dual-code tourist while captaining the 1968 Great Britain side in the World Cup in Australia. Upon retirement, Risman became rugby league’s first ever development officer in the South of England. He was appointed director of the Student Rugby League, became a founder member of the charity Rugby League Cares and, in 2010, enjoyed a year as President of the RFL and was awarded the OBE for services to the game. An all-round sportsman, Risman also worked for the Lawn Tennis Association and was technical director of David Storey’s rugby league-based play The Changing Room in London’s West End. Both Sides of the Fence is his autobiography. A fascinating insight into decades of great change, it lays open the events and personalities that have dominated both codes of rugby. Gareth Hock is widely seen as the bad boy of rugby league. A player who, in his early years with hometown Wigan, seemed to have the world at his feet was instead derailed by a drugs ban, skirmishes with officials and other headline-grabbing controversies. Yet now, for the first time, Hock insists that there is more to this private family man than that, while putting his side of a story that has never been short of incident. 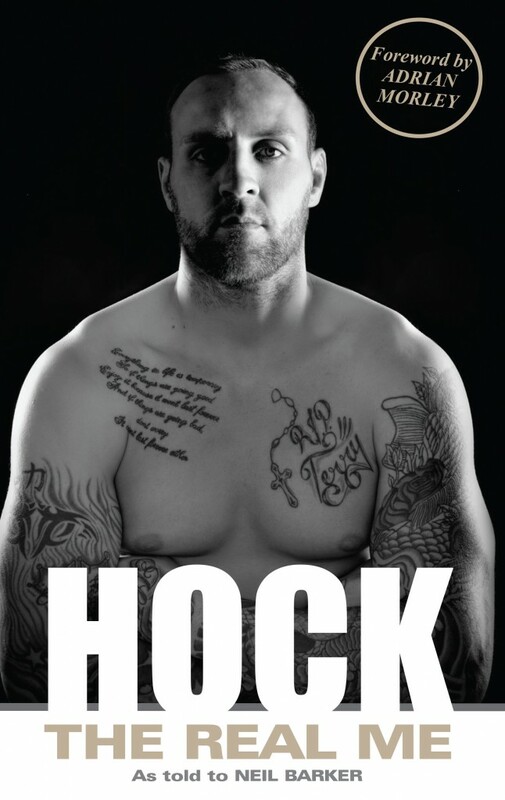 Hock: The Real Me is a rugby league book that – like the player himself – packs a real punch! Making his first tackle as a 17-year-old professional rugby player for London Broncos Academy, his neck snapped. A happy-go-lucky teenager with the world at his feet; his life, as well as his spinal cord, appeared broken. But, showing the same spirit, resilience, wit and courage that characterised him before the accident, Matt overcame the severe trauma and rebuilt his life; gaining a degree, a high-profile job in the legal profession, became a successful mouth-painter, participated in marathons and carried the Olympic torch in 2012. Awarded the OBE for his charitable work, which also includes giving motivational speeches to some of the country’s leading organisations, his is a story of the ultimate triumph of human spirit. 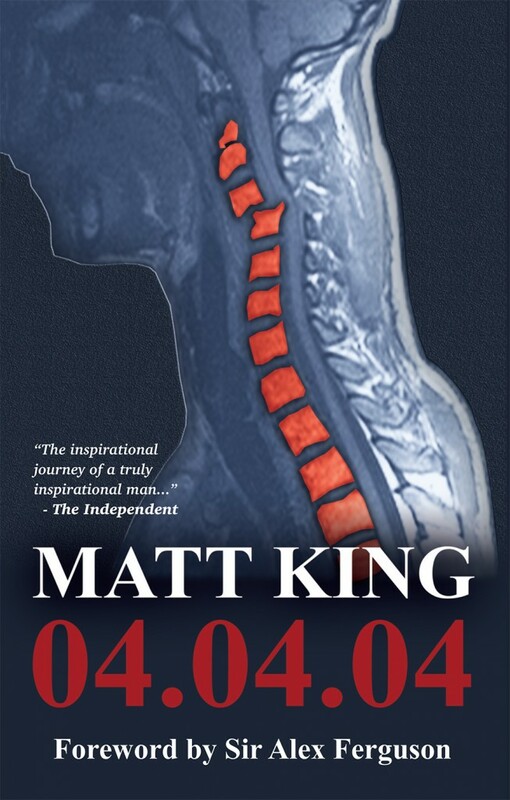 Two years in the writing, 04.04.04 is an unflinching account of his upbringing in Bedfordshire, his nine-month stay in three hospitals and the arduous road to rehabilitation. This is one of the most inspirational, remarkable and affirming stories you will ever read. Afterword by Richard Lewis CBE. Growing up on one of Scarborough’s toughest estates, Paul Ingle put on his first pair of boxing gloves at the age of seven. 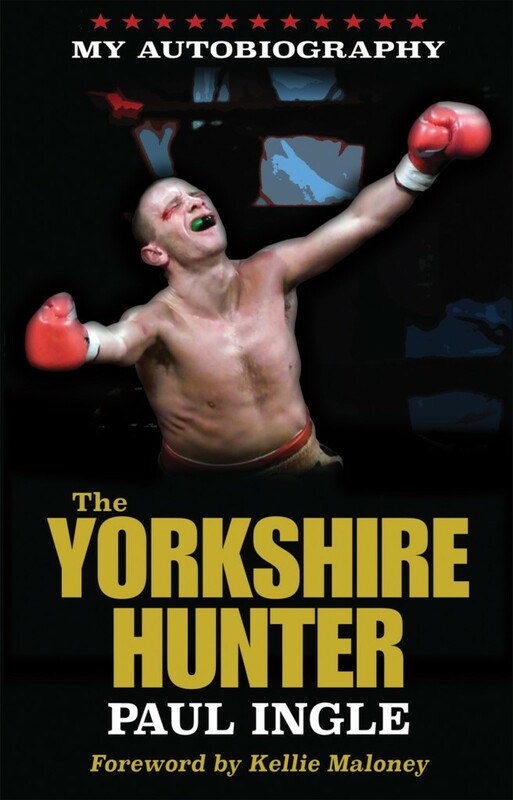 Known by fans, foes and friends as ‘The Yorkshire Hunter’ he fought almost 200 times as an amateur, representing his country in every major international tournament and, in November 1999, beat Manuel Medina for the IBF featherweight world title. Months later, in front of a packed crowd at Madison Square Garden, Paul came off the canvas and stopped Junior Jones in an eleven-round epic to add the IBO belt. In December 2000, he fought Mbulelo Botile in what ought to have been a straightforward defence. But then, knocked down in the twelfth, Paul was rushed to hospital where he had emergency surgery to remove a blood clot from his brain. The Yorkshire Hunter tells the story of an endearing and enduring man who never left his roots. With a foreword by Kellie Maloney, this is the tale of a fighter whose fiercest battle was outside the ring. Edited by Tony Hannan. Foreword by Kevin Sinfield MBE. 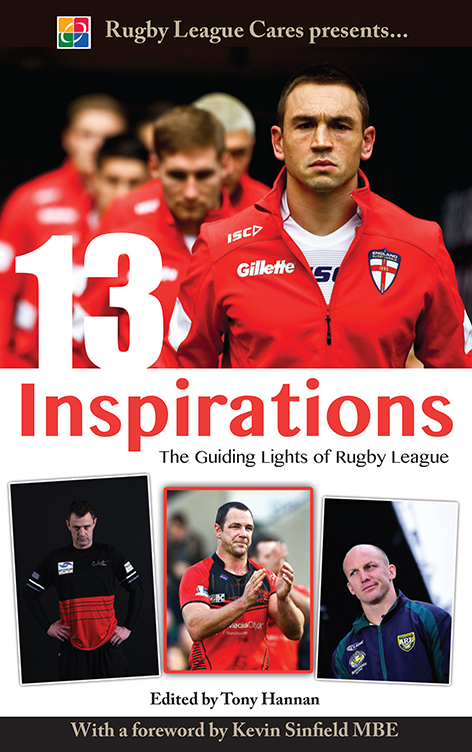 13 Inspirations is a lively collection of essays by many of the leading writers and personalities in rugby league. With proceeds going to Rugby League Cares – a charity devoted to ensuring the welfare of the game’s wider community – it tells 13 fascinating stories about 13 of rugby league’s most inspirational personalities. From the early days of the Northern Union, icons like Albert Baskerville and Lance Todd spring to life. From more recent history, heroes like Mike Gregory, Steve Prescott MBE and Darren Lockyer feature. And from modern-day Super League come Adrian Morley, Jamie Peacock MBE and others. Edited by Tony Hannan with a foreword by Kevin Sinfield MBE, and including contributions from Jamie-Jones Buchanan, Jon Wilkin, Dave Hadfield and Brian Noble among a host of authorities on the sport, 13 Inspirations celebrates the game’s guiding lights in a way that no one who cares for rugby league will want to miss. Rugby League Cares – Supporting rugby league’s broad community. Past, present and future.